Hand-knotted rug is woven on a handloom which is the perfect setup of wooden beams and operated by hand. No electricity is required for operating a handloom. Hand-knotted rug contains knots and pile and woven using knot by knot. This is also called interweaving method and that’s why it is a long lasting carpet and rug. 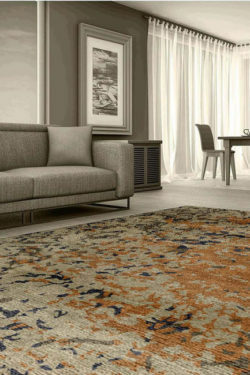 Hand-knotted rugs are made in silk and wool material using cotton. Handmade silk always contains traditional designs but hand-knotted wool rug may a traditional carpet or a modern rug. Hand-knotted takes many months to complete. 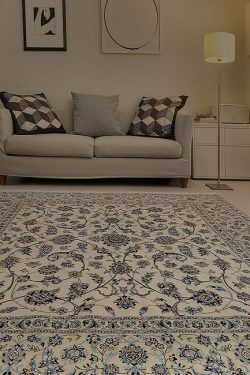 Here, I am going to explain hand-knotted traditional carpet designs which have been originated in the 17-19th century and very famous in carpet industry. 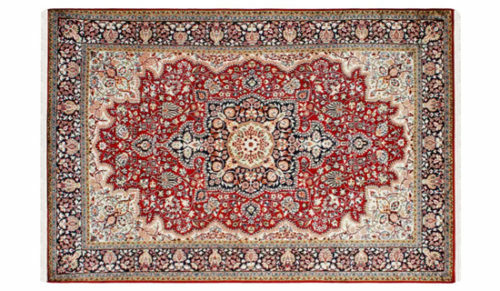 Medallion Kashan Design: – It is the oldest design for making hand-knotted rug. Kashan is located in the center of Iran in the Isfahan province and is one of Iran’s oldest cities. 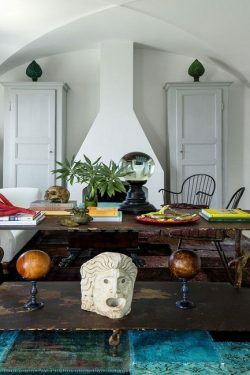 This design has been originated from that place in 17th century. It contains some type of design in the center and fills with small and tiny motifs with beautiful rectangle border. There are few types of Kashan design like open Kashan, all over Kashan or floral Kashan. In all over Kashan, the ground is filled with floral tiny motifs and in medallion Kashan, it contains a medallion in center of the carpet. Kashan is the most popular design since a long time. All over Kashan Design: This design carpet adds a style of pattern. The floral pattern is the oldest pattern. It is available in a traditional way and also in a modern way. The ground of a floral pattern carpet looks like a garden. You can also select wallpapers in a floral pattern to add symmetry in the same. Floral designs in bold colors like red, blue, orange provide a refreshing look to space. 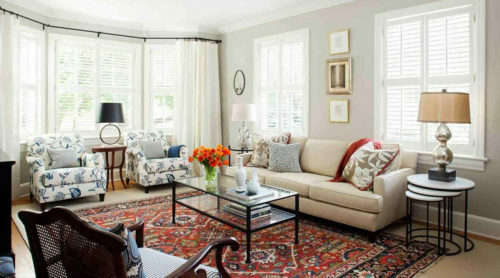 For a floral pattern rug, a living room or bedroom is the best option. Most of the floral pattern carpets are “One of a kind”, it means you can never find the same design pattern worldwide. These carpets have a very defined and intricate pattern with very small and tiny motifs, which is not possible to make more than one time. These types of carpets give a royal feeling and can make homes look like a palace while you can enjoy natural elements without going for heavy detailing. 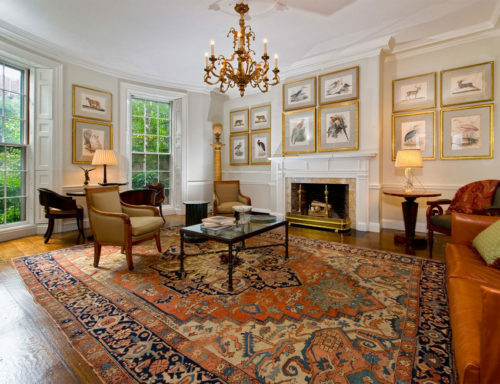 Look for the rugs that feature an image of random tree branches, flowers, birds that are just starting to blossom. Hamadan Design: – This design is originated from the Hamadan city which is situated in Iran. These are specially recognized by pattern. In Hamadan designs, the ground of carpet is divided into equal sizes of big boxes and every box contains separate designs or repeated design patterns in bold motifs. This design is mostly woven in silk carpet. Qum Design: Qum design is similar to Hamadan design and only the difference is, Qum design contains small and tiny boxes and Hamadan design contains bold boxes pattern on the ground of carpet. Qum is more difficult to weave in carpet. This is also made in silk carpets. Tree of life Design: – This design contains a chinar tree with beautiful birds, plants, leaves, animals etc. This design is specially related to wildlife and nature. This design has been originated from Kashmir India. Tree of life design beautifully reflects the wildlife. Ardabil Design: This design has been originated from Ardabil city which is situated in Persia in 17th century. In this type of design, carpet contains a chakra or medallion design in the center of carpet with a square border. Border contains floral design patterns. So, the above designs are the most popular designs of hand-knotted traditional carpet which is woven in wool and pure silk material. Cotton is used to add strength to it. 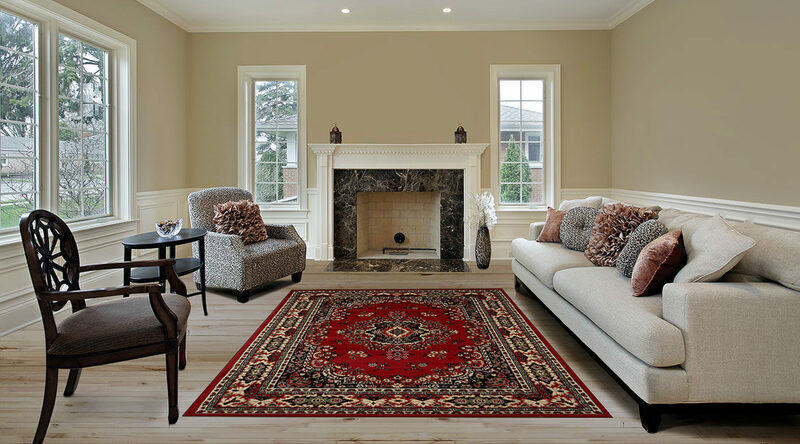 Hand-knotted rugs are highly durable and hand washable.